Rev. Fr. Albert J. Hebert, S.M. The Rev. 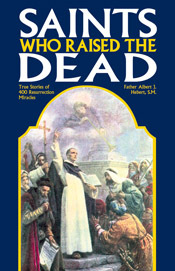 Father Albert J. Herbert, S.M., is a priest and author of the twentieth and twenty-first centuries. He is the author of two saint-oriented spiritual works: A Prayerbook of Favorite Litanies and Saints who Raised the Dead. The former, compiled by Father Herbert, was first published circa 1985 with the Nihil Obstat, Imprimatur, and Imprimi Potest. Additionally, it was arranged in order to be prayed frequently, rather than to be used as a guide for scholarly pursuits. A Prayerbook of Favorite Litanies was also printed by TAN in 2010.